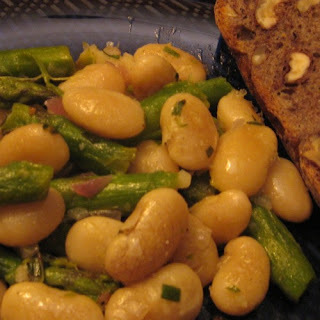 A simple dish of creamy, buttery, beans with bright Mediterranean flavors is bound to add a ray of sunshine to your meal. This dish combines Greek beans with Italian salsa verde. First, a note about the beans. 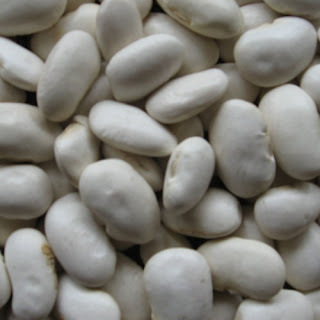 Gigante beans are of Greek origin (via the New World). They are very large meaty white beans that are popular in Greece. How do you know you have a gigante? One gigante bean when cooked will fill a teaspoon! However, other white beans would be good substitutes if you can’t find these. 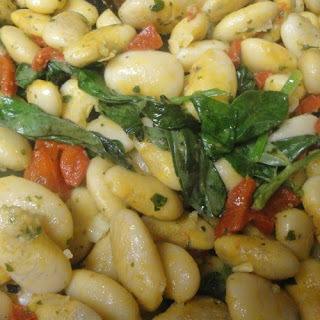 Italian butter bean, cannellini runner, or flageolet would be good substitutes, and garbanzos (chick peas) will work well too. You want a bean that will hold its shape and doesn't fall apart after cooking. This dish is best with home cooked beans. For a tutorial on cooking beans, see my previous post. It’s not hard get good results and it doesn’t have to take hours, and home cooked versus canned beans are worlds apart! Gently sauté a clove or two of garlic in 2 tablespoons of olive oil in a wide pan (frying pan is fine), being careful not to burn, about 2 minutes. When the garlic has softened a bit add the cooked beans and stir to coat them with the olive oil. Add the chopped red peppers and stir. If you have fava leaves, add them now and let them wilt. Let cook for a few minutes to blend the flavors. Transfer the contents of the pan to a warmed bowl and stir in two tablespoons or more of the salsa verde. Toss well to coat. 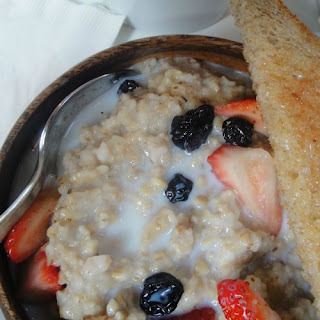 Serve with broccoli florets and shaved parmesean cheese if desired. Buzz the Ingredients in a small blender, or dice everything very finely and mix with the olive oil. Let sit for a few minutes before serving to allow the favors to marry. This will keep in an airtight container in the refrigerator for about a week. Why cook your own beans rather than buying them in a can? Let me count the "whys": flavor, texture, and variety. Once you taste beans the way they are meant to be eaten, you'll realize that canned beans are waterlogged and over-salted to make up for lack of flavor. And the types of beans available in a can are limited. So don't miss out on a whole world of culinary exploration, and get in the habit of cooking beans and enjoying the many types available for your eating pleasure. Who knows, you may end up growing your own too, as I do (see photo below). I recommend you start with a cup of dry beans to get a feel for cooking them. 1. Wash the beans with cold water and examine them to make sure there are no stones or other debris. Quick soak: put beans in a pot (preferably a heavy pot for better heat distribution) with about 2 inches of water over the beans, bring them to a boil then turn off the heat. Cover with the lid and let them soak for 1-3 hours. 3. To cook, drain the soaking water, add fresh water to cover the beans by an inch or two. I like to add a bay leaf to lightly flavor the water. Bring them to a boil then turn down the heat to a simmer. Note: do NOT add salt at this point. Salt will cause the beans to be tough and take a very long time to cook (or so it's believed). 4. Check the water level in half an hour. You want the beans to be covered at all times or they won't cook evenly. Cooking time can vary from only an hour for fresh beans, or up to 2 hours for older beans. After an hour check to see if the beans are tender or need more cooking time, and make sure there is enough water in the pot to cover the beans (if not add some and bring it back to a simmer). 4. When the beans are beginning to get tender add salt. The beans will absorb the salt from the cooking water. When they are tender and have the texture you want, they are ready to eat or use in a recipe. You can let them cool and store them in the refrigerator in their cooking water, or drain them and toss in a bit of olive oil so that they don't dry out. The age of the beans: Steve Sando of Rancho Gordo, points out in his lovely book on cooking with heirloom beans that the bags of beans on your grocery store shelf might be a couple of years old or more. The age of the beans will dictate how long they take to cook. Old beans take longer. 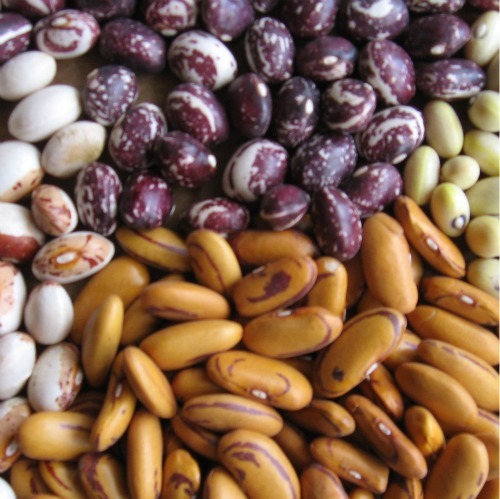 Beans from a quality supplier, such as Rancho Gordo, or your local farmer's market vendor are sold within a year of being grown. Indeed, these beans are so fresh that I've planted and grown and eaten several varieties of them! Here is something delicious to make with your fresh pot of beans: my recipe for gigante beans with salsa verde- enjoy! I experimented with the method below from the description in Chef Mourad Lahlou's' beautiful book, New Moroccan for preserving Meyer Lemons. But I tried it with both Meyer Lemons and what I believe are Eureka Lemons, from a neighbor's tree. I'm now a convert for having these "semi-preserved lemons " handy for lots of uses. Both preparations are wonderful to have ready when the inspiration strikes to add them to whatever I'm cooking up. 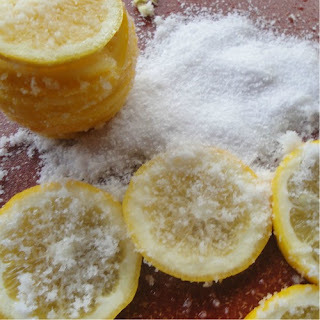 Scrub the lemons with a brush under running water (if they were not organically grown, you may want to use some mild dish soap and water to scrub them). Dry thoroughly. Slice into approximately 1/4 inch slices and salt each side of each slice well with the kosher salt. Stack each lemon back together as shown above. Cover tightly in plastic (a baggie or plastic wrap- do each separately) and put into the freezer overnight or for a few days. Thaw the lemons, rinse briefly under a trickle of water taking care not to get them waterlogged. Shake off the excess water. Put into the jar and cover in olive oil. Put the lid on the jar and store in the refrigerator. The oil may solidify, but that's fine- just use a spoon to scoop out lemon slices and oil to flavor your dishes. You can chop a couple of slices finely and toss with vegetables or pasta, or add to salsa verde and use on fish, vegetables, or beans. The Meyer lemons will have a sweeter flavor, and the Eureka lemons will be more intense. Next I'll be posting my recipe for Gigante beans with salsa verde and red sweet peppers, in my series on how to add sunshine to your winter meals with Mediterranean flavors! As we fret over the increasing loss of biodiversity through extinction, we can be thankful for the dedication of a few individuals who spent almost every waking moment devoted to saving it. And they haven't stopped yet. 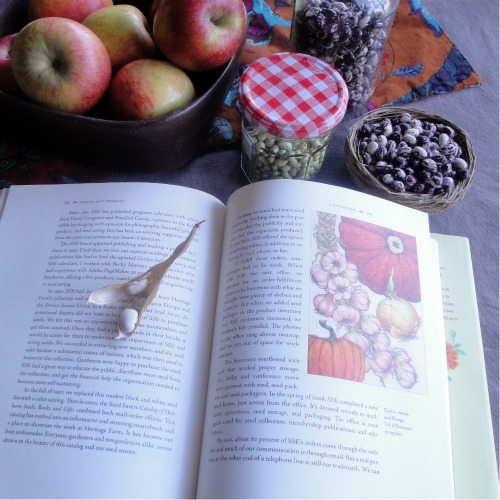 Gathering, Memoir of a Seed Saver, is the autobiography of Diane Ott Whealy, co-founder of Seed Savers Exchange. It is the story about a life committed to saving the seeds of thousands of plants, most of them edible, to ensure they would not disappear, all while homesteading and raising five children. 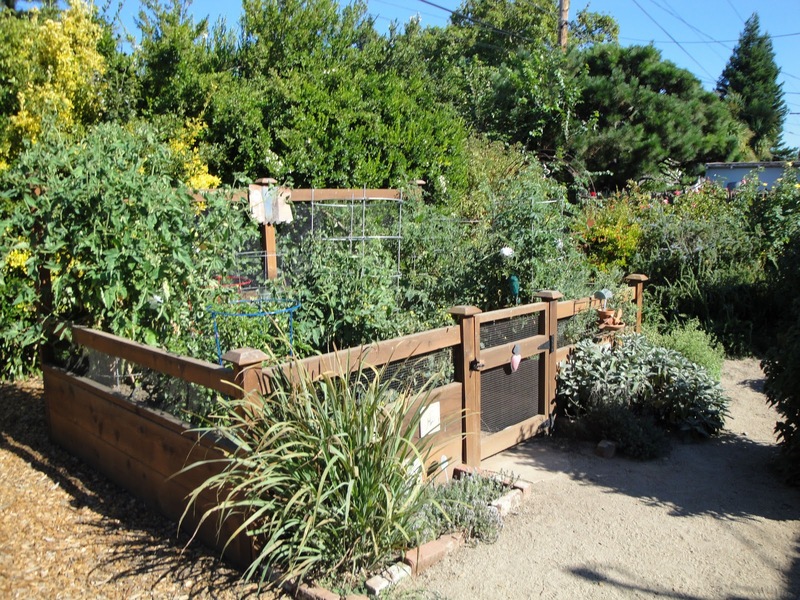 What is now the largest seed saving organization in the country (perhaps the world?) had humble and innocent beginnings: homesteading newlyweds who wished to continue the bride’s family tradition of growing the morning glory that her great-grandparents brought from Bavaria in their new home in Iowa. From this sparked a life-changing passion to rescue seeds from plant varieties that had very limited distribution: some were grown only by families or individuals, and some had been dropped by seed companies who no longer distributed them. 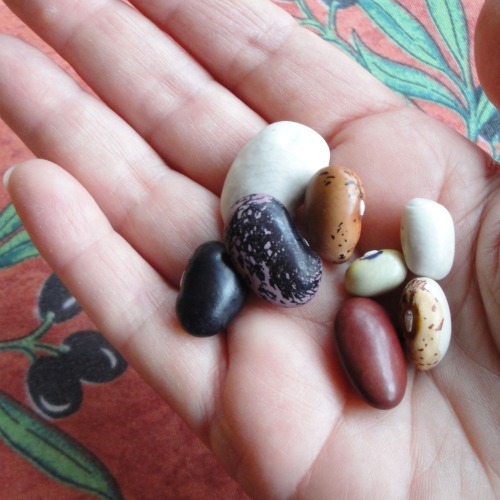 Ott Whealy tells the engaging and unpretentious story of Seed Savers Exchange, a nonprofit organization with a grassroots movement to propagate, save, and share seeds from mostly food plants that are either heirlooms, or just plain rare. Ott Whealy and her former husband Kent Whealy, started the organization in the 1970’s, never imagining that it would become the lead organized effort for preventing the extinction of thousands of useful plants in North America. Over 35 years later, the current 2011 yearbook boasts an astonishing 13,876 types of open pollinated (non-hybrid) plants to be shared with anyone who requests them. As the Whealys got the word out about their undertaking, other seed saving individuals contacted them and they joined forces in this gargantuan effort. Seed Savers Exchange was entrusted with large collections from other passionate gardeners who feared that their seeds could be lost, and as a result the scope and responsibility of the organization grew. The tasks involved are not trivial- seeds must be not only be grown, collected and saved properly to remain viable, but fresh seed is needed periodically, and care must be taken to protect each particular cultivar from accidental crossbreeding. Additionally, detailed records are kept. The rewards are no less than the preservation of our agricultural heritage and genetic diversity. Today Seed Savers Exchange headquarters is located at Heritage Farm, the Whealy’s former home, in Decorah Iowa. 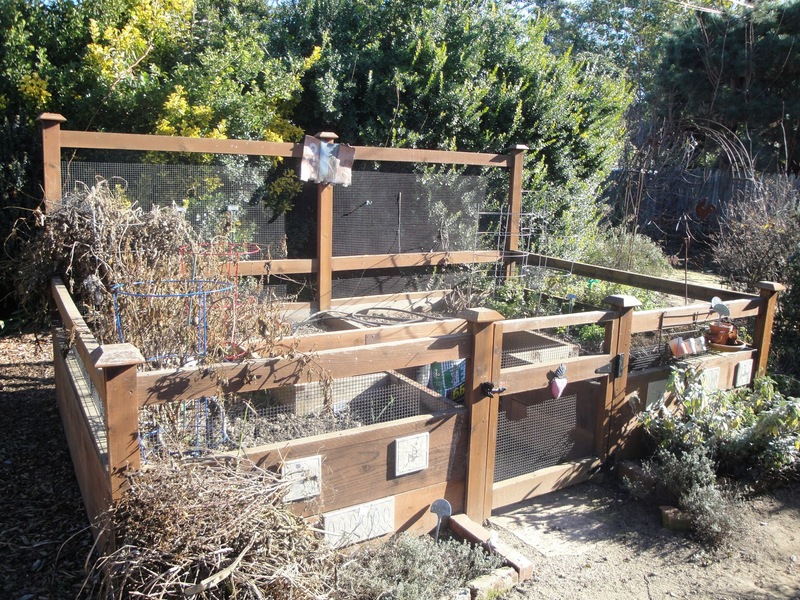 The garden areas have been expanded and now include a heritage apple orchard. The book is an enjoyable read, and among the many charming stories is a description of how Amish carpenters restored the huge historic barn at Heritage Farm, badly in need of repair. 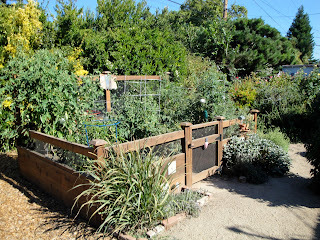 Diane Ott Whealy will be speaking at Common Ground Organic Garden Supply and Education Center on January 28, 2:30pm. You can check here for Ott Whealy's book tour and lecture schedule. And they said it couldn't be done. 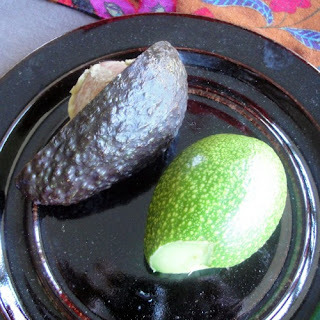 But it's almost mid January and our avocados are just about ripe for picking. This was not supposed to happen, according to conventional wisdom regarding growing your own avocado trees. I guess we got lucky! Our tree is now about 13 years old, and about as many feet high. It was planted in the ground after my Belgian husband spotted the sprouted pit in our compost pile. 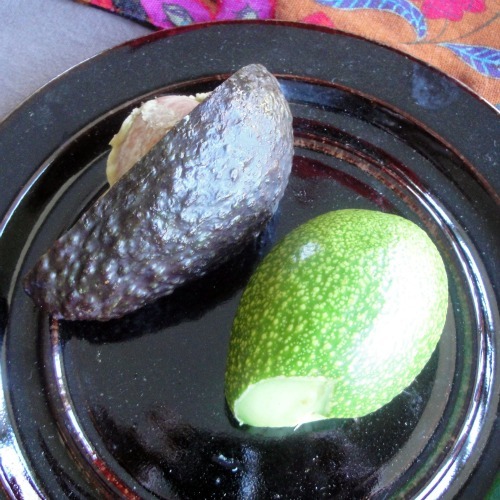 For him, avocados are a bit exotic and growing one was just too tempting to pass up. It's a beautiful tree now in our front yard, with lush foliage and actual edible fruit. The pit may have originally come from a Haas - grocery stores don't seem to stock anything else, for many years now. I remember other types that were offered regularly in the past, for example, the Fuerte. But the Haas is a hybrid, and hybrid seeds don't breed true, so it's difficult to match up our tree with a known type. 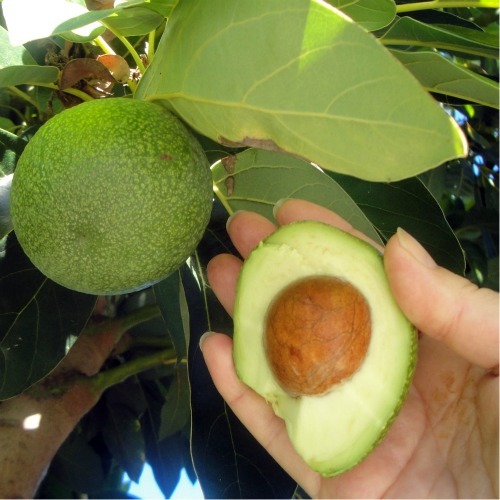 The California Rare Fruit Growers web site has some good facts about growing avocados and the many varieties that are available. I recently left my career in biomedicine to devote my time to writing and gardening, and wow- I'm excited. Until I look at my neglected backyard. I've got my work cut out for me! The frost has finally soundly killed off anything that survived into the fall. 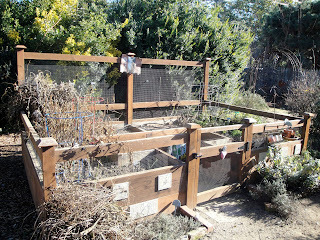 I've got to get all that dead material into the compost pile, and the herbs surrounding the planting box need trimming. In the foreground you can see I've heaped some dry plant matter ontop of my lemon grass to protect it from frost- it will come back in the spring. A season for everything- happy new year! 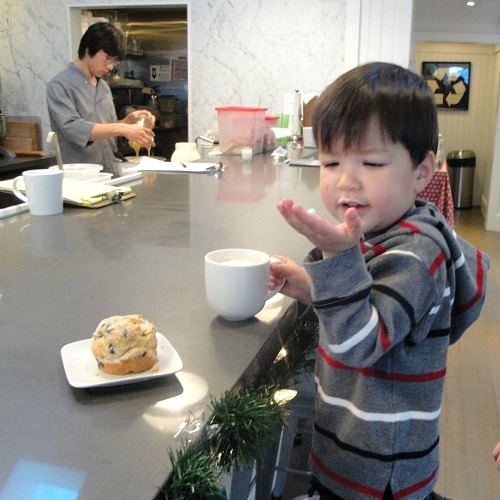 Bumble's ambitious goal is to be a family’s dream come true - a cozy, comfortable, kid friendly cafe that not only goes all out to make children and their parents feel welcome, but that also focuses on providing the healthiest food possible. I visited Bumble recently with my two-and-half-year-old neighbor, Alexander, and his mom, Margie, to meet with Bumble's director, Emily Richard. I wanted to learn more about how they manage the sourcing for local organic products for this unique cafe, which would be a significant undertaking for any new restaurant. It turns out that finding and procuring various locally grown, organically produced food items is made possible by a specialty distributor called GreenLeaf. They provide access as well as distribution of numerous specialty goods, including organic produce and local dairy products, to businesses like Bumble. And it's logical that this supports small farm and dairy operations by simplifying and reducing the time and effort they spend getting their products to market. It is an elegant example of a local food network that benefits all parties involved, and in the process enables small businesses to make their dreams a reality while growing the local economy. All this and healthy food too! Bumble is located in Los Altos, California.